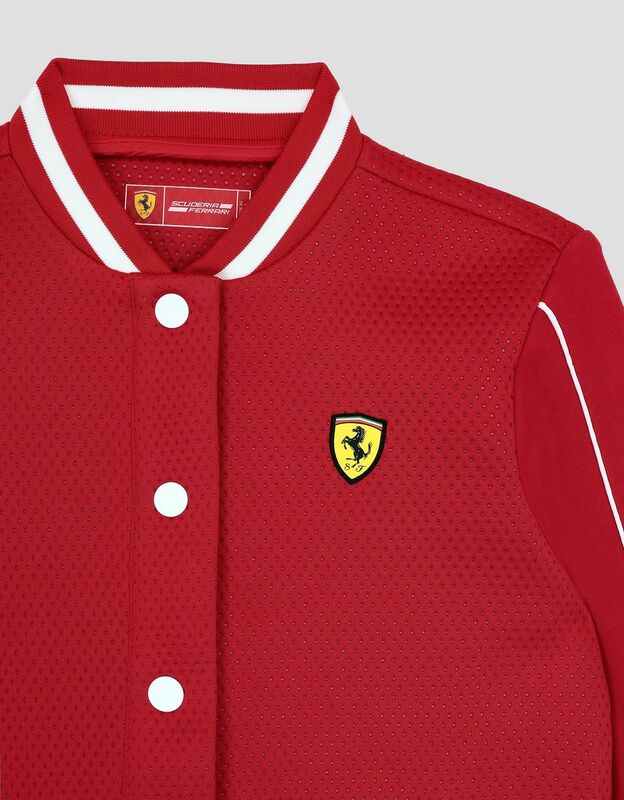 Dedicated to young lovers of the race circuit, the Scuderia Ferrari bomber features sleeves in French TerryFrench terry is a lightweight fleece with a smooth soft-touch surface. 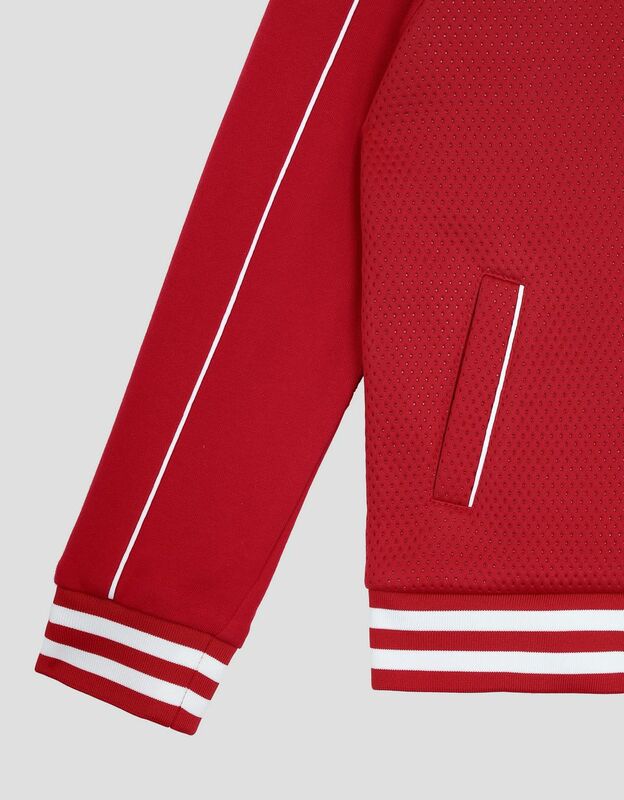 One of the advantages of French Terry is its absorbency, which makes it well suited to more active and energetic uses. and contrast piping. 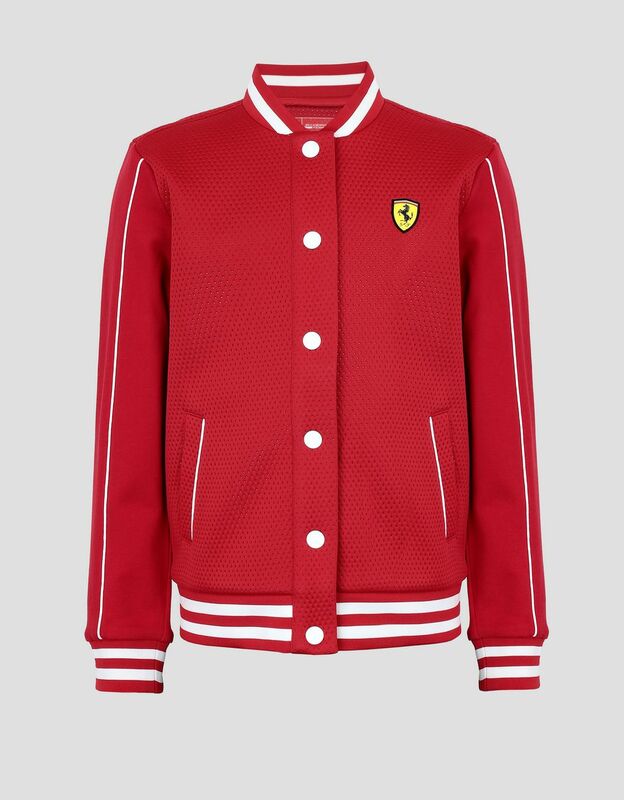 The Scuderia Ferrari bomber jacket with college inspiration combines two textures: the pleasant towelling effect on the bust and the smooth softness of the French Terry on the sleeves. 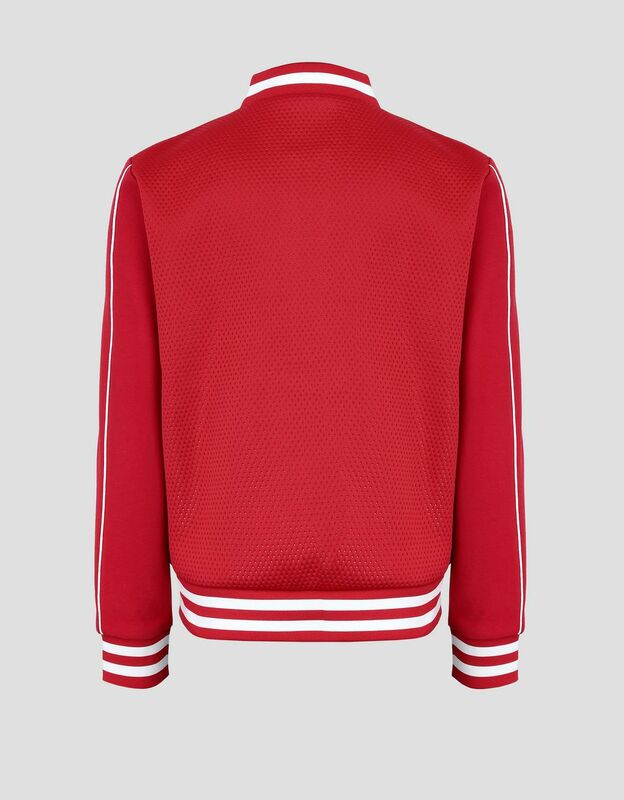 The iconic design of the garment is enlivened by contrast piping, large white buttons and a two-tone rib knit hem, cuffs and bomber collar. On the chest the Ferrari Shield stands out in its unmistakable colours.